Should AirAsia jet have been allowed to fly? Home Should AirAsia jet have been allowed to fly? 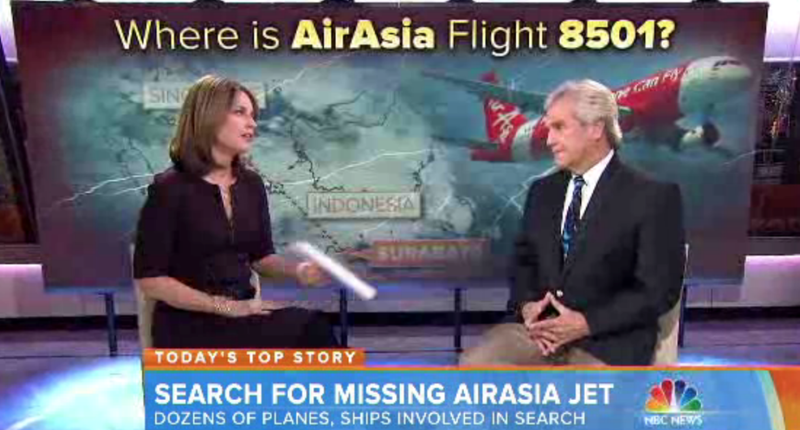 Former NTSB investigator and aviation expert Greg Feith talks to TODAY’s Savannah Guthrie about missing AirAsia Flight 8501 and what likely caused the plane to crash, and weighs in on whether the plane should have been given clearance to fly through approaching storms.